Display issues? View this email in your browser. Clockwise from left: Laurie Lawton, CYC Board Member and daughter of Sidney Epstein walks through the Center’s garden; Sandra Guthman, President & CEO of Polk Bros. Foundation speaks at the ceremony; Dixie Adams, CYC Board Chair, presents a plaque dedicating the Center; Barbara Mosacchio, CYC President & CEO, and Sondra Berman Epstein, wife of Sidney Epstein, admire the artwork CYC students made in honor of Sid. 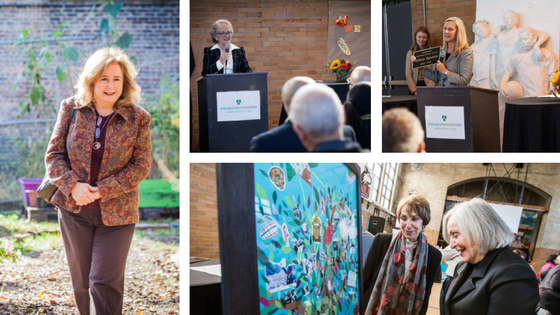 On November 3, Chicago Youth Centers (CYC) dedicated the CYC-Sidney Epstein Youth Center (formerly the CYC-ABC Polk Bros. Youth Center) to commemorate the life and legacy of CYC’s co-founder, the prominent architect, engineer and philanthropist Sidney Epstein. The Polk Bros. Foundation made the dedication possible. Community leaders joined the Polk Bros. Foundation, CYC, and friends and family of Sidney Epstein to celebrate the occasion. The Center, located at 3415 W. 13th Place, serves children and families in Chicago’s North Lawndale community. See more photos of the dedication on CYC’s Facebook page. IN THE MAKER MOVEMENT, CYC IS MOVING ON UP! 3-D printed drones flying overhead. Synth music blasting from hand-made instruments. Giant red robots walking around Queens. Should you find yourself in this setting, there’s no other place you could be but the World Maker Faire in New York, a celebration of the maker movement and gathering of thousands of the world’s brightest engineers, entrepreneurs, innovators, and makers. 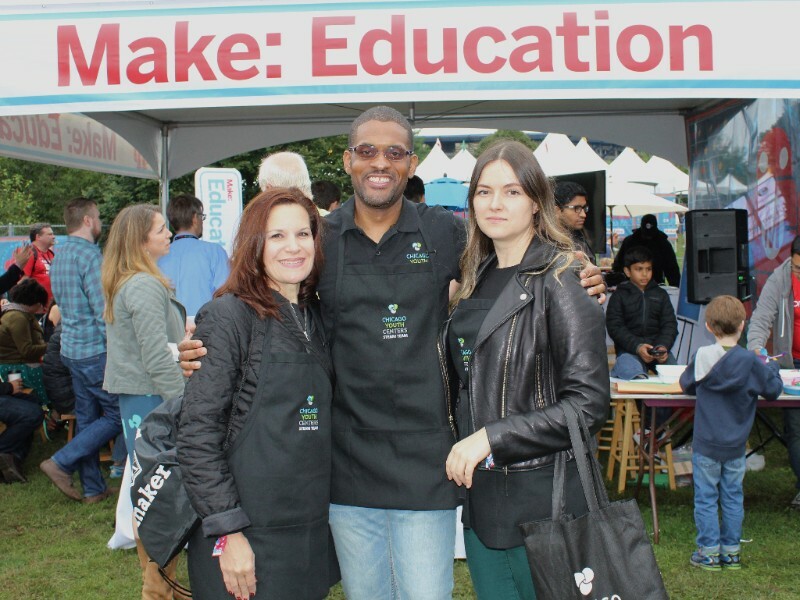 CYC’s STEAM Team—Tina Ayala, Director of Program and Operations-School Age and Teens; Steven Willis, STEM Program Manager; and Monica Wizgird, Arts and Innovation Coordinator—first ventured to the Maker Faire in the fall of 2015, when CYC’s first Maker Lab was a mere three months old, to gather ideas for our growing lab. One year, and two additional labs later, they were back, this time as expert presenters on the “Make: Education" stage, sharing their experience with an audience of more than sixty educators. Their presentation, “The Maker Gap: How Chicago Youth Centers’ Maker Labs Bridge the Achievement Gap and Prepare Children for Success” focused on how the maker movement can help children from underserved communities develop critical 21st-century skills. 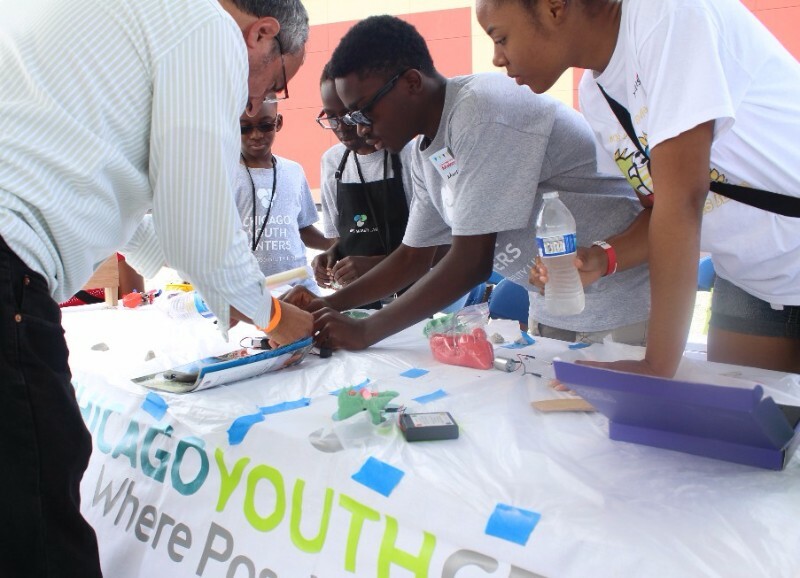 While the STEAM team spent the summer preparing for the World Maker Faire, students in the Summer Enrichment Program at CYC-Elliott Donnelley Youth Center in Bronzeville were preparing for the Southside Mini Maker Faire, a regional event celebrating Chicago Southside makers. Our students spent the summer studying electricity and tinkering with circuitry in our Maker Labs, and in August they presented their “squishy circuits” project at the Southside Mini Maker Faire as one of 35 exhibitors. With the direction our Maker Lab program is headed, perhaps there will be a CYC child on the World Maker Faire center stage in the near future. Most of us know Shakespeare’s phrase about greatness: “Some are born great; some achieve greatness; and some have greatness thrust upon them.” Many of us also are lucky enough to know someone who consistently demonstrates greatness. For the staff, children, and families of Chicago Youth Centers, Dixie Adams is one of these leaders. For the past two years, Dixie served as CYC’s Board Chair, committing her time and talent to ensure that CYC remained fiscally responsible, organizationally sound, and deeply committed to its strategic goals. Her term ended on November 17, 2016. From 2014-2016, she led the Board of Directors, helping to bring CYC’s strategy to life in the Centers. Dixie is proud that the Board and staff have been able to turn their strategy into a reality, particularly in the creation of three Maker Labs and the development of the STEAM Program, which focuses on science, technology, engineering, the arts, and mathematics. “We created something truly unique in Chicago. Other organizations are recognizing what we’re doing and have asked: ‘How did we get this done?’ The work the team has done is exceptional,” Dixie said. At the November 17 CYC Board meeting, Dixie’s term as Board Chair ended and Daniel Feeney’s began. A partner at the Chicago law firm, Miller, Shakman & Beem, Daniel Feeney brings his tenacity, thought leadership, and energy as an attorney to the CYC Board room, invigorating staff and fellow Board members while keeping them keenly focused on organizational goals and outcomes. Dan has been involved with CYC for more than 12 years and has served in a variety of capacities, first as a member of the Metro Board (today known as the Auxiliary Board), then as a Board member, Board Development Chair, and most recently, Fundraising Chair of the Board of Directors. Dan is eager to begin his new role as Board Chair and is grateful to have benefited from Dixie Adams’ example. He said, “Dixie Adams has been an extraordinary leader for CYC during the past two years. I admire her strategic vision and boundless optimism, and I have seen the organization thrive under her leadership. 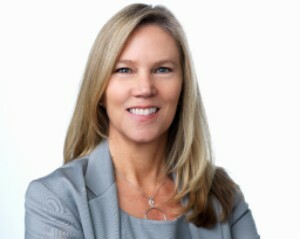 I look forward to assuming the role of Board Chair and working with Dixie and the entire Board of Directors to continue to lead the organization forward." INTRODUCING CYC'S NEW BOARD MEMBERS CYC's Board of Directors grew to include four new members last spring. We are excited to introduce Matty de Castro, Anne Doherty, Laurie Lawton, Katie Swick, and Tom Vander Veen. They have already brought new ideas and passion to the Board room, and we are incredibly excited to welcome them to the CYC community. We will be profiling new members in each coming newsletter. Why is “giving back” important to you personally and to your company? As someone who grew up in the Chicago area, I am troubled by the continued challenges of crime and violence facing our city. I firmly believe education and helping the city’s youth is the way to start to solve the problem and CYC is the perfect organization to take on these tough challenges. Which part of CYC’s work makes you the most excited to be a part of the organization? 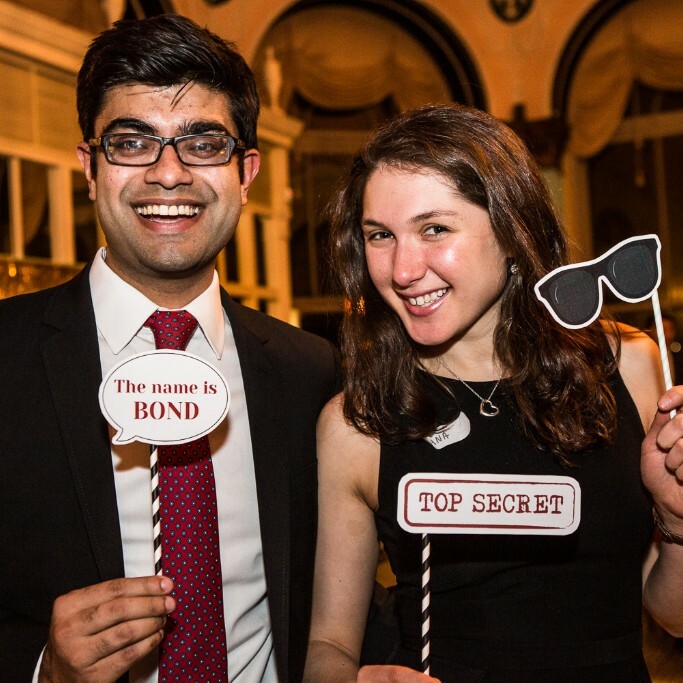 CYC is a deep-rooted philanthropic organization with the thought leadership and passion to make a difference. I am excited to help CYC build on its amazing foundation and help think about how the organization can help children learn new skills that will be valuable to them in a world rapidly changing due to technological innovation. CYC's 2015-2016 Annual Report is now online. 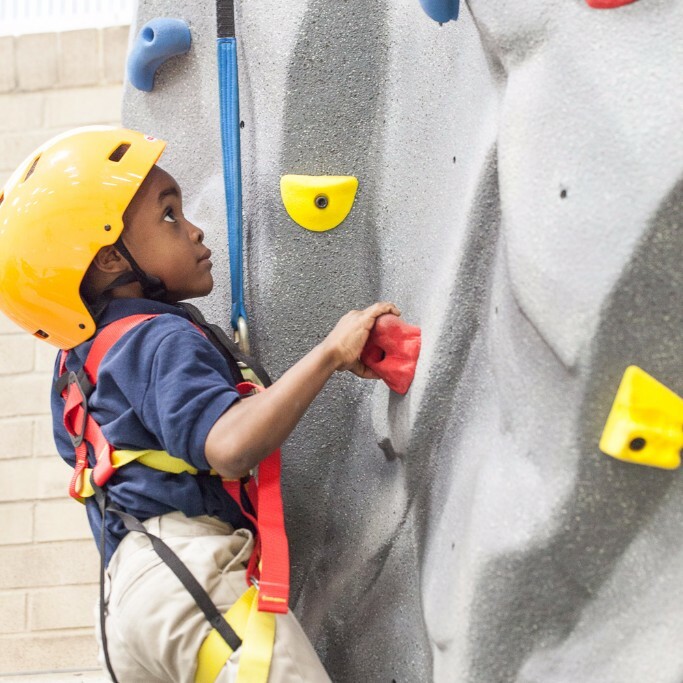 We are proud to showcase our outcomes from the year and our children's accomplishments. Thank you to our incredible donors who make our work possible. Save the date for the second annual Shake & Stir, presented by the CYC Auxiliary Board: Friday, March 10, 2017 at the Wintrust Grand Banking Hall (231 S. LaSalle Street). Join the CYC Auxiliary Board for cocktails, dancing, and a can't-miss silent auction! Proceeds support CYC's transformative programs. Tickets will go on sale in December and will be available at www.chicagoyouthcenters.org.